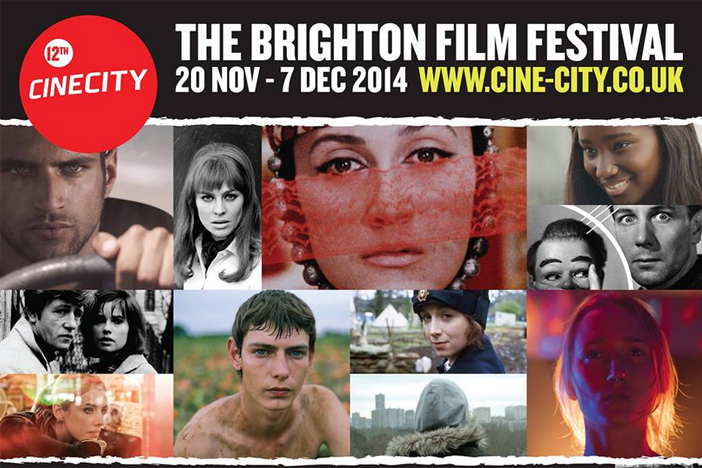 Now in its twelfth year, CINECITY returns to Brighton for a fortnight of independent film and world cinema. From a showing of The Tribe, a Ukrainian debut feature scripted entirely in sign language, to a singalong screening of The Wizard Of Oz, the festival’s remit is as broad as it is ambitious. This year’s centrepiece is not even a movie, but an installation of a film-set for an imaginary adaptation of Anne Quin’s Brighton novel Berg. With sound design by The Bad Seeds’ Barry Adamson, the installation explores the grim bedsit land of Brighton in the 60s and is complemented by a bunch of films from that decade based on the work of Quin’s contemporaries such as Samuel Beckett and William Burroughs. Elsewhere CINECITY presents a slew of sci-fi events including a live radio-play version of The Midwich Cuckoos with music from local avant garder Sarah Angliss and a pop-up screening of Truffant’s Fahrenheit 451 in the old Brighton Reference Library, a suitable setting for the film’s dystopian book-burning premise. Music docs are well represented too: A Curious Life is the story of The Levellers, told by bassist Jeremy Cunningham and directed by Chumbawamba’s Dunstan Bruce, while Duke’s at Komedia host the UK premiere of Killing Joke documentary, The Death And Resurrection Show. The same week local artist Ian Helliwell talks to the editor of The Wire magazine to discuss his documentary on FC Judd, one of the innovators of early electronic music. As usual Duke of York’s is at the centre of the action alongside its Komedia co-star and supporting roles from Brighton Museum and Sallis Benney Theatre. Full details of the festival can be found here.